The Dubai Police have launched 10 strategic laboratories to review its strategic plan 2016-2021. Colonel Sheikh Mohammed Abdullah Al Mualla, director-general of Excellence and Leadership, said that launching the laboratories aim at reducing crime rates as well as road accident deaths in addition to management of crisis and disaster and enhancing the use of artificial intelligence. "The Dubai Police have launched 10 major laboratories to review its strategic plan including Community Happiness Laboratory, Emergency Response, Physical Resource Management, Human Capital, Plant Protection and Protection Laboratory," he said. "All laboratories will be implemented in cooperation with the strategic partners of the Dubai Police from various government departments and the private sector in each subject of the laboratory. 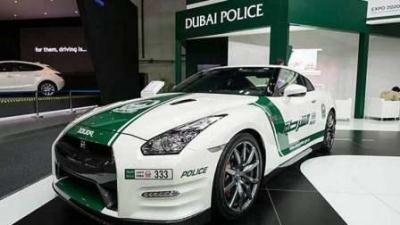 This is in addition to the participation of the Dubai Police Councils and the public departments concerned and other segments of the society," added Col Al Mualla. Lt-Col Faisal Ahmad Al Khumairi, director of the strategic planning department at the Public Administration for Excellence and Entrepreneurship, said: "The laboratories aim a variety of initiatives in each subject of the laboratory in order to support the Dubai Police strategic plan and achieve Dubai 2021 vision. "All recommendations and initiatives will be collected and presented in a final laboratory for leaders to adopt for the future of Dubai." Major-General Abdullah Khalifa Al Marri, commander-in-chief of the Dubai Police, attended the 'Physical Resources Management Laboratory' event organised by the Excellence and Entrepreneurship department in the presence of Colonel Dr Saleh Al Hamrani, deputy director-general of Excellence and Leadership. Maj-Gen Al Marri was briefed on the discussions of the lab, which aims at producing initiatives to optimise the management of material resources according to the international best practices. He also toured the lab and was briefed about innovative student projects and initiatives.